CORRECTION: A previous version of this story stated that the mother had given birth. CORRECTION: A previous version of this story stated that the woman had given birth at the hospital. The Louisiana District of United Pentecostal Church corrected its original statement to say she remains hospitalized and is still pregnant. The Louisiana District of United Pentecostal Church sent an email to its followers on Friday morning offering new details into the crash that killed 7 people, 5 of whom were children. Yesterday, January 3, 2019, a van load of people from our UPC in Marksville, Louisiana (pastor Eric Descant) were on their way to Orlando, Florida. 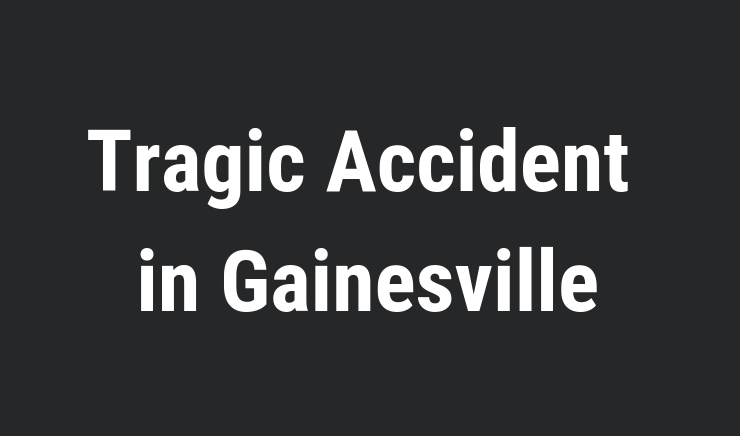 For some unknown reason, a large tractor-trailer truck crossed the median of I-75 near Gainesville, Florida and crashed into the church van. Sister Karen Descant, has seven broken ribs, a broken collarbone, multiple bruises, cuts, etc. Pastor Descant’s words were, "She is pretty banged up. One of the ladies was pregnant, but we are told the baby is going to be all right. She too is pretty “banged up.” The other lady is not as severely injured, but is still in the hospital. The four children all have injuries, but the medical staff feel that all of them will heal and recover. Sadly, five children that were traveling in the same vehicle did not survive the accident. The Florida Highway Patrol said the children who died were traveling in a passenger van from Avoyelles House of Mercy Church in Louisiana and ranged from 8 years old to teenagers. They were headed to Disney World. According to the church, one of the five children who died in the accident was the granddaughter of the pastor of the church, Pastor Descant. The church also offered details regarding the extent of injuries of the other passengers. Stating passenger by the name of Sister Karen Descant was suffering from seven broken ribs, a broken collarbone, multiple bruises, cuts, etc. The crash happened around 3:40 p.m. at Mile Marker 394. FHP said a semi-truck was traveling northbound on I-75 and crashed into another vehicle. Both the semi-truck and vehicle collided through the guardrail, into the median and into the southbound lanes of I-75 where another semi-truck and the passenger van were traveling. FHP said the passenger van overturned and ejected some occupants. They stated that a fifth vehicle may have been involved and may have run over some of the ejected passengers and debris in the road. Both of the semi-trucks involved in the crash caught on fire. Alachua County Fire Rescue said nearly 50 gallons of diesel fuel spilled, igniting boxes and packages of meat that fell out of the truck. "One loss of life is tragic, the loss of life is tragic period and in this instance, we lost seven," says FHP Lt. Patrick Riordan. FHP warns drivers that there is still damage in the roadways, so be cautious while driving in the area. They hope to release more details in a press briefing expected Friday afternoon.